Making A Great Choice In Selecting A Family Reunion Location! If you've ever handed the assignment, planning a family reunion is no easy task. The responsibility of finding a location suitable for the needs and preferences of everyone involved can prove overwhelming for many people. If this is your year for planning a family reunion, the Nautilus Inn can help! This Year, Spend Easter at the Beach! Easter arrives April 21st this year and it’s a great time to visit Daytona Beach for some rest and relaxation after the long months of winter! Daytona Beach FAMILY-FRIENDLY Spring Break 2019! After months of cold weather, nothing feels better than packing your bags for a sunny beach vacation! Welcoming another spring season here in Daytona Beach – we invite you to check out our Nautilus Inn spring break special offers! Get Your Green On - Daytona Beach St. Patricks Day! Looking for the best place to spend your St. Patrick’s Day this year? Celebrate the "Luck of the Irish" on Daytona Beach, Florida! The 2019 Bandshell Summer Concert Series is spectacular! Enjoying the sights and sounds of summer at this historic coquina amphitheater is so easy - park in the Ocean Center garage, take the crosswalk to the Daytona Beach Bandshell in Oceanfront Park, rent a chair, purchase a drink and enjoy the show. This year, we have another reason why it pays to be a resident of the Sunshine State! 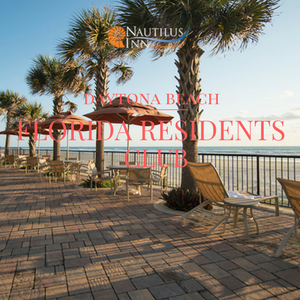 Stay at Nautilus Inn in Daytona Beach, Florida with your valid Florida I.D. and you'll receive a special deal when visiting the Nautilus Inn! 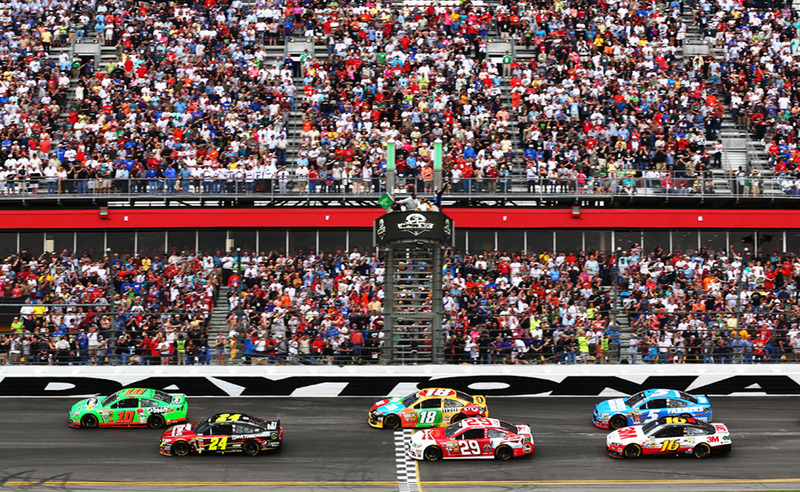 The DAYTONA 500 - Bigger and Better Than Ever! The DAYTONA 500 brings historic performances, spectacular finishes and amazing memories! Get ready for a day you'll never forget at the 61st running of The Great American Race! This January – mark your calendars for the 57th Annual Rolex 24 at Daytona International Speedway! Since 1962, racing legends from around the world have come to DAYTONA to compete in a grueling 24-hour marathon. The Rolex 24 Hours of DAYTONA is notoriously merciless on both driver and machine as sleep-starved crews perform mechanical miracles. From sunrise to sunset, fans will watch drivers battle an army of rivals that span the auto racing universe in the first IMSA WeatherTech SportsCar Championship race of the season. Area Activities Abound for our Winter Guests! This winter, you’re invited to say “no” to snow on Daytona Beach and get into the sunshine state of mind! Come & Be A Part Of Our Winter Family! You're invited to be a part of our winter family - located right on The World's Most Famous Beach! 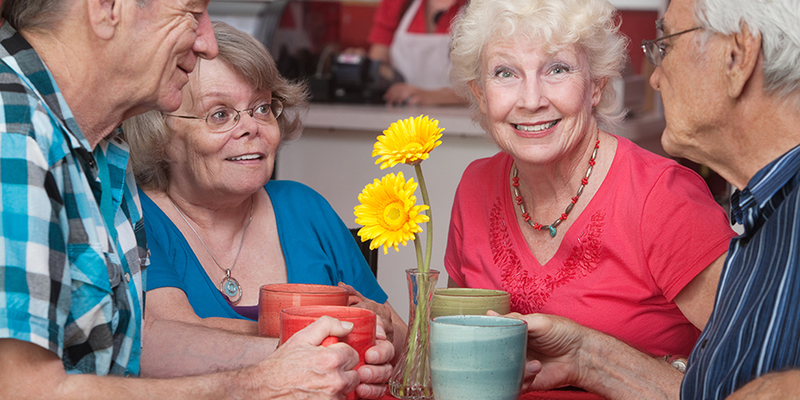 Come make new friends, escape winter's dreariness and enjoy new experiences - we'll make you feel right at home! Celebrate Christmas at Daytona Beach! Craving an escape from winter weather? Head to Daytona Beach for a range of holiday events and holiday spectaculars. Whether you are in the mood for the dreamlike experience of Christmas lights, a celebration that takes a step back in time or a jolly holiday parade, plenty of fun Christmas activities await in Daytona Beach! Celebrate New Years Eve 2018 at the Beach! Start a new tradition this year – ring in 2019 at the beach! With exciting New Year’s Eve celebrations happening throughout the Daytona Beach area – book your vacation today! Where to Find the Best Burger on the Beach! We all love them ... and we're always seeking the best! Nothing works up an appetite quite like being at the beach. Maybe it’s the salt air and warm breezes, or perhaps it comes from exerting all your energy jumping over waves and building sandcastles — either way, refueling after a day in the sun is crucial for a happy vacation crew. Sometimes, the only thing that will hit the spot is a juicy burger and a cold drink — and these four Daytona Beach burger joints are up for the task. Spend Thanksgiving at the Beach! It’s never too late to start a new tradition – Thanksgiving at the beach! Bring your family together at one of the top hotels on Daytona Beach and enjoy our variety of amenities, world-famous beach and abundance of sunshine! 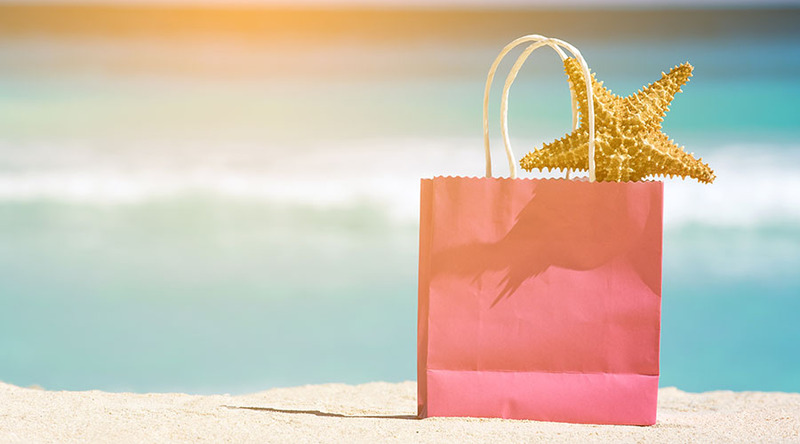 Take Your Holiday Shopping To The Beach! The holiday season is just around the corner! Black Friday kicks off the holiday season, so make your holiday season even more enjoyable being a guest at the Nautilus Inn and visiting Daytona's incredible shopping centers. We're ready for another exciting DeNure Tours and Snowbird Season at Nautilus Inn! From our location on famous - - you're invited to come and enjoy Daytona Beach's year-round activities such as golfing, fishing, biking, shopping, walking on our beach, meeting new people and visiting Daytona's famous landmarks - all conveniently located near our beachfront hotel. Daytona's "Off-Season": One of our best seasons of the year! At Nautilus Inn of Daytona Beach, we value our past guests and look forward to your return visits. This summer and fall, we have even more discounts for our guests! Nautilus Inn wants to thank you for your past patronage with this exclusive past guest offer! Exclusive Discounts for Past Guests of Nautilus Inn - We're Holding Your Favorite Chair! You're invited to celebrate one of life's greatest freedoms at the 26th Annual Biketoberfest in Daytona Beach, Florida. Each year, Biketoberfest celebrates the motorcycles and riders that have long driven on Florida's roads and beaches - including our signature hard pack sand that's been a riding tradition since the 1930's. 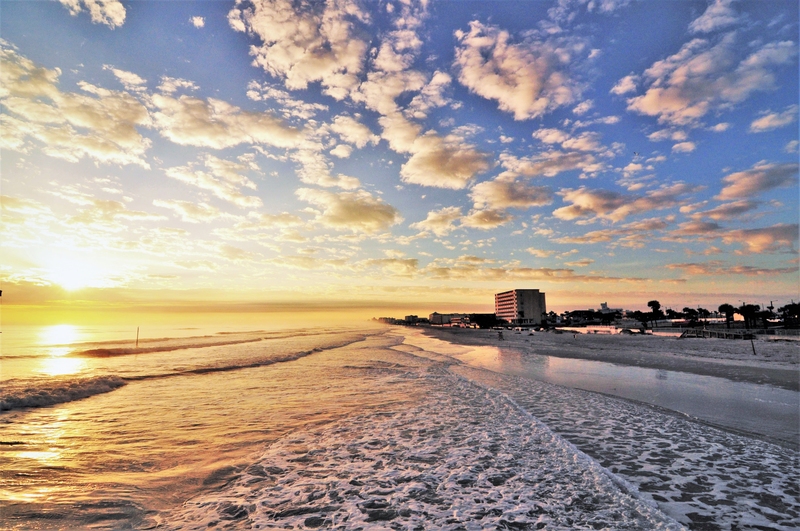 After a long summer, fall is a blissful time of year to visit Daytona Beach, Florida! Featuring fewer crowds, great discounts and fantastic temperatures - spice up your autumn season and plan your fall getaway to Nautilus Inn Daytona Beach hotel! Need more motivation? Now that the kids are grown and have left home, it’s time to do something just for the two of you with a getaway to Daytona Beach, Florida! Extend Your Summer Fun TO Labor Day WEEKEND! As summer season comes to an end, the fun doesn't wind down on Daytona Beach! Enjoy our Nautilus Inn Summer Special Offer through August 31, 2018! This Summer, we have another reason why it pays to be a resident of the Sunshine State! Stay at Nautilus Inn in Daytona Beach, Florida with your valid Florida I.D. and you'll receive a special deal when visiting the Nautilus Inn! August - Daytona's Perfect Season For Young Families! Panoramic ocean views, large beach and comfortable accommodations - August features fewer crowds and great vacation discounts making it the perfect month for young families in Daytona Beach, Florida! The Nautilus Inn today announced that it has received a TripAdvisor® Certificate of Excellence for the sixth year in a row. Now in its eighth year, the achievement celebrates hospitality businesses that have earned great traveler reviews on TripAdvisor over the past year. An incredible way to celebrate your Independence Day weekend in Daytona Beach is to experience the thrill of the crowds and roaring engines at this year's upcoming Coke Zero Sugar 400 on July 7th, 2018. One of NASCAR's most anticipated events, the Coke Zero Sugar 400, brings together NASCAR racing under the lights with pageantry and patriotism to make for an Independence Day weekend celebration unlike any other. Wondering where to spend this Fourth of July? Whether you're looking forward to traveling with family or friends, Daytona Beach is a great choice for your upcoming Independence Day celebrations! Featuring countless activities for families to enjoy and our spectacular Daytona Beach location - experience why Nautilus Inn of Daytona Beach, Florida is the ideal destination for your upcoming Fourth of July escape. Give Dad what he really wants for Father's Day - a family trip to the beach! An unforgettable way to say “We appreciate everything you do, Dad” is to indulge your father or husband this June with a getaway to the Nautilus Inn and Daytona Beach, Florida! Nautilus Inn's Family Friendly Environment - Perfect for Multi-Generation Stay! So, you want to get the whole family in on this year's vacation. We all know there are very few excuses for not keeping up with your adult kids and grandkids (or keeping up with your parents) these days, what with email, texting, Facebook, Skype and good old-fashioned phone calls. But quality face time may be limited. Mother's Day - Reward Mom with a Vacation to Daytona Beach! An unforgettable gift to say "Thank You, Mom!" Indulge your mother or wife this Mother's Day with a weekend getaway in Daytona Beach, Florida! Mothers that love the beach will take pleasure in spending time vacationing at Nautilus Inn - located on "The World's Most Famous Beach"! This Summer, Bring Your Entire Clan To The Beach! Family traditions made easy! 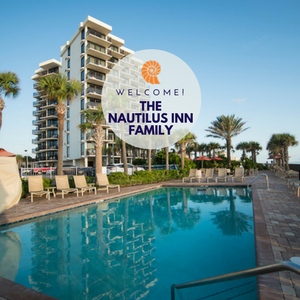 Gather your entire family this summer and make the Nautilus Inn your family renuinon headquarters in Daytona Beach, Florida! Find out what’s new with attractions, accommodations, dining and more at the ‘World’s Most Famous Beach". From endless activities to calm, quiet days spent sunbathing and beachcombing, visitors are finding just what they’re looking for in a Florida vacation along the 23 miles of world-famous shores of Daytona Beach. Looking for a fun family activity in Daytona Beach that adds some twisting and turning to your trip? Daytona Lagoon Waterpark Entertainment Center has what you need! A favorite among locals and visitors, this family park offers unlimited fun both indoors and outside. The water park season officially kicked off on March 9, so Daytona Lagoon is ready to offer some wet and wild entertainment for your family this spring break! The 2018 Bandshell Summer Concert Series is spectacular! Enjoying the sights and sounds of summer at this historic coquina amphitheater is so easy - park in the Ocean Center garage, take the crosswalk to the Daytona Beach Bandshell in Oceanfront Park, rent a chair, purchase a drink and enjoy the show. Growing older has its rewards. Not only are you a little wiser, but you can also earn discounts just for being you. If you're a senior who enjoys the beach, warm ocean water and seafood, then we have more savings on your accommodations - which means more money to enjoy on your vacation! Make Us Part of Your Spring Break! There's plenty of get things to do all around Daytona Beach! Our Exclusive Discounts for Past Guests Just Got Better! We value our past guests and have sweetened our best offers for you! The DAYTONA 500's 60th Anniversary Race Coming in February! The DAYTONA 500 celebrates its 60th anniversary in 2018! Since 1959, it's proven year after year, lap after lap, that this is the race that creates more memories, more hall-of-fame moments and more believers in the power of racing dreams than any other. There's more to Daytona Beach Dining! Venture behind-the-scenes and discover what makes Daytona International Speedway the World Center of Racing. Tour options include the 90-minute All Access Tour or the 30-minute Speedway Tour. Committed to a healthier lifestyle for 2018? Determined to stick to your New Year’s resolutions this year? There are lots of fun ways to stay fit on your next trip to Daytona Beach — literally on the beach! Experience the unforgettable. Taste the delightful. See the remarkable. Live the dream. Feel the energy of ONE DAYTONA, coming in December 2017. Soon to be Daytona Beach area’s epicenter for premier retail, dining and entertainment—ONE DAYTONA is a lifestyle and entertainment center designed for convenience, comfort and fun. New Years Eve Around Town! Looking for a fun way to ring in the New Year? If warmer weather and coastal fun sound like how you want to greet 2018, then look no further. New York City’s Times Square may be known for its big crowds and sparkling ball drop, but there are plenty of bright and exciting celebrations happening right here in the Daytona Beach area. Decorate a Tree this Christmas ... at the Beach! Make your holiday even more magical and spend Christmas in Daytona Beach, Florida! Whether your searching for the perfect family holiday vacation or a romantic escape for two, Christmas is one of the best times of the year for a beach vacation at Nautilus Inn. Our BEST Past Guest Offer is Back! At Nautilus Inn of Daytona Beach, we value our past guests and look forward to your return visits. Now, we have even more discounts for our guests! Celebrate New Years Eve 2017 at the Beach! Start a new tradition this year – ring in 2018 at the beach! With exciting New Year’s Eve celebrations happening at Nautilus Inn and throughout the Daytona Beach area – book your vacation today! Snowbird Season Kicks-Off at the Nautilus Inn! Music is as much a part of the beach as sand, sea and sun! There's plenty of great places around Daytona to catch your favorite sound! Even if your Daytona Beach vacation doesn’t include a multi-day music event, there are plenty of area bars and restaurants showcasing local musical acts and dance music. We recognize our Florida residents come in all shapes and sizes. If you're a Florida resident (human) who enjoys the beach, warm ocean water and seafood, then we have another reason why it pays to be a resident of the Sunshine State! After a long summer, fall is a blissful time of year to visit Daytona Beach, Florida! Featuring fewer crowds, great discounts and fantastic temperatures - spice up your autumn season and plan your fall getaway to Nautilus Inn Daytona Beach hotel! Need more motivation? Stay & Save - Spend Labor Day in Daytona Beach! Labor Day Weekend on Daytona Beach means fabulous weather and holiday weekend value! End of Summer Doesn't Mean End of Fun in Daytona Beach, Florida! Labor Day Weekend on Daytona Beach means fabulous weather and holiday weekend savings! Think of summer in Daytona Beach and what comes to mind? White sand, gentle surf, warm sun and sandcastles, of course! Looking for something different to do this summer? Here’s five unique events and activities happening this summer in Daytona Beach! The Nautilus Inn today announced that it has received a TripAdvisor® Certificate of Excellence for the fifth year in a row. Now in its seventh year, the achievement celebrates hospitality businesses that have earned great traveler reviews on TripAdvisor over the past year. The Best of Daytona - Summer Bandshell Concert Series! The 2017 Bandshell Summer Concert Series in Daytona Beach kicked off in May! Guests of the Nautilus Inn can join thousands of locals and visitors alike that frequent this historic coquina amphitheater to enjoy the sights and sounds of summer. It's so easy - park in the Ocean Center garage, take the crosswalk to the Bandshell in Oceanfront Park, rent a chair, purchase a drink and enjoy the show. Celebrate the 4th - Daytona Style! Daytona lovers know the nostalgia and memories of Daytona Beach last a lifetime and Daytona is the perfect beach destination to visit for any special occasion. With tons of activities for families to enjoy and our summer special offer - see why Nautilus Inn of Daytona Beach is the ideal location to book your Fourth of July vacation. Race fans agree, you can never experience too much live NASCAR! Experience the thrill of the crowds and roaring engines at the upcoming Coke Zero 400 on July 1st. Located just a few miles from the Daytona International Speedway, guests of the Nautilus Inn of Daytona Beach enjoy oceanfront rooms, beachside pool, hot tub and close location to the area's hottest attractions. Show your family's appreciation for your father or husband this summer with a Father's Day trip to Daytona Beach, Florida! Daytona lovers know the nostalgia and memories of Daytona Beach last a lifetime and Daytona is the perfect beach destination to visit for any special occasion! The Daytona Beach area’s culinary scene is experiencing a steady influx of exciting, new offerings – from off-the-beaten-path eateries to independent restaurants serving specialty fare. Love to Shop? We Have News! There's plenty of news for those who like to shop during their visit to the Nautilus Inn and Daytona Beach! Tanger Outlets in Daytona Beach opened in November 2016 and is located near Interstate 95 and LPGA Boulevard. The center encompasses more than 350,000 square feet of space and more than 75 of the most popular brand name and designer outlet stores. Mother's Day - Thank Mom with a Getaway to Daytona Beach! An unforgettable gift to say "Thank You, Mom" is to indulge your mother or wife this Mother's Day with a weekend getaway in Daytona Beach, Florida! Kick-Off Your Summer in Daytona Beach with Our Summer Season Early-Booking Special! This year, kick-off your summer on the beach and treat your family a weekend in Daytona Beach, Florida! Don't waste a minute of your long weekend and plan your vacation early with our "Summer Season Early-Booking Special!" - save up to 30% on stays of 3 nights or more! Celebrate Easter on Daytona Beach! Easter Sunday arrives April 16th this year - a prime time for a spring getaway! Overlooking the beautiful beaches which have made Daytona Beach famous - enjoy our great amenities and amazing rates for a fun-filled Easter vacation at Nautilus Inn! Bike Week 2017 - The World's Biggest Motorcycle Event! The 'World's Largest Motorcycle Event' celebrated 75 years in 2016! 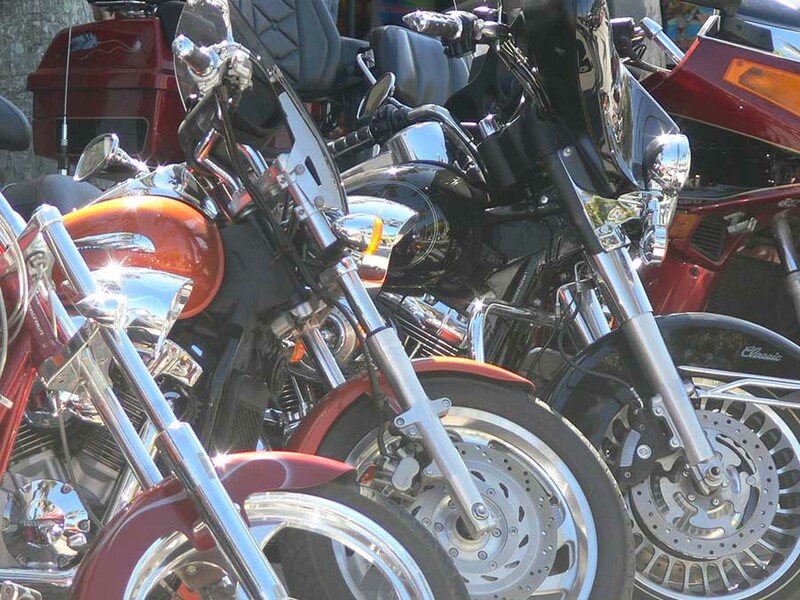 Join over 500,000 motorcycle enthusiasts March 10-19, 2017 for Bike Week.